My first tattoo. Any volunteers for when I start working on real skin? Yesterday I took my “Art Works” project at Fine Line Tattoos up a notch, by doing my first ever tattoo. It’s only on artificial skin (I’m not licensed to work on real people… yet! ), but it came out looking quite good, I thought. 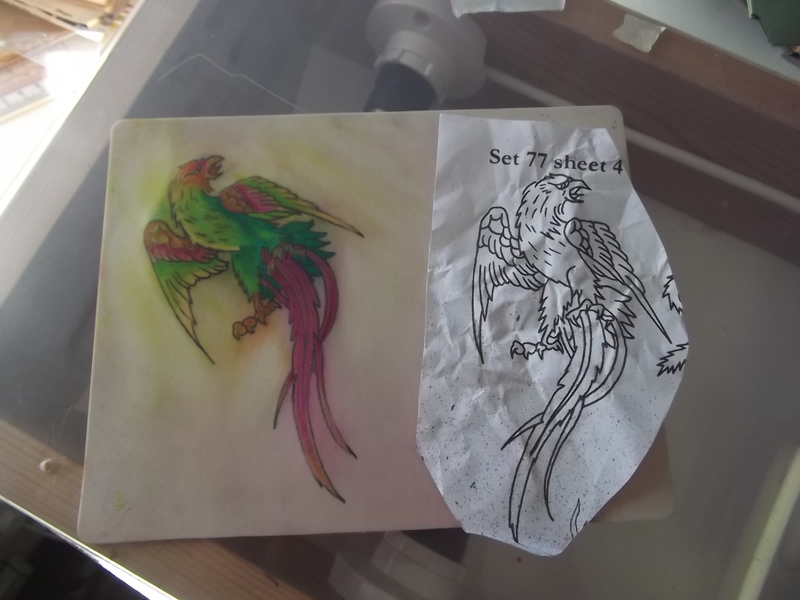 I’ve written more about the day and the tattoo on my own blog, but I’ll bring along the tattoo to next week’s Notebook Meeting for everyone to see. It was great fun working with an entirely new medium – not one that I think most artists get a chance to try. The next step, of course, is to start doing it on actual flesh and blood victims; any volunteers…?